I have only just started diving seriously and intend to dive on a more regular basis. Since starting diving I have noticed that every time I finish a dive I get heart burn and have to have Zantac 75 on hand to get rid of it before my next dive. I am wondering if this is just a minor problem or whether it is something that could possibly affect my diving future. Heartburn or reflux oesophagitis is one of those highlighted things on the PADI med dec form. The danger here is, that if it is uncontrolled, good old gastric acid can spill up into your oesophagus on a dive, into your throat and either come out as a vomit through your reg, or more lethally, be re-inhaled. This will cause a spasm in your breathing tubes, laryngospasm, it's known as. If you get this underwater, your next sight will not be a little wrass but the Grim Reaper himself. The reason you may get this diving is because of your body position and your gear. A horizontal dive position with a tight BCD and weight belt can squeeze your abdomen forcing up the acid. So if that is the issue, then consider an integrated weight belt or a larger BCD. However, as you are getting it so regularly I suggest you see your GP and consider a course of omeprazole to really knock the problem on the head. This is an antacid that is better at long term prevention of gastric acid problems. If this does not help then it's a gastroscopy for you. That's a 50 cm flexible tube they shove down your oesophagus to have a look at what lies within. Not a lot of fun but better than having a chunder at 30 metres. I am 63 years of age, have been diving since 1994, am qualified to Advanced Open Water with PADI and have completed about 80 recreational dives always in warm climates, e.g. Red Sea, Great Barrier Reef, British Virgin Islands, etc. I was diagnosed some time ago with Peripheral Neuropathy which was mild then but has increased in severity over the years. Luckily I only have problems with my toes/feet, e.g. numbness, pins and needles, burning sensations, occasional cramps, all the usual PN stuff. I take no medication for this but take Lansoprazole (15mg) for Barrett's Oesophagus. Otherwise I am reasonablyfit for my age and take 30 mins of fairly testing cross-country machine training 5 times a week. 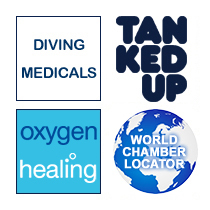 Do you perceive any problems related to the PN with me continuing scuba diving on a strictly recreational basis? Not really with the peripheral neuropathy. This illness where nerves in the periphery stop doing what they are supposed to do can be a real pain, as I am sure you know. But the deal with diving is that as long as you have sufficient strength there to fin, haul out a buddy or get back on the boat then that should be OK. It is worth seeing a dive doc to get passed as fit, as well as getting a neurological mapping of your deficit. Numbness and pins and needles are classic bends symptoms, so you need to have a good idea of what's going on baseline, as it could save 5 hours in a chamber if you had a problematic ascent and an over zealous doctor. The Barrett's though is an issue. This is caused by hyperacidity in the oesophagus, and needs the antacids to prevent pain and burning in this tube. As long as it does not affect your diving, causing reflux or pain when you are horizontal, then cool. If you are a gastric belchy sort of diver then there could be a risk of an acid vomit on a dive, so get that all checked out when the doc is stroking your tootsies with cotton wool before jabbing a pin into big toe.